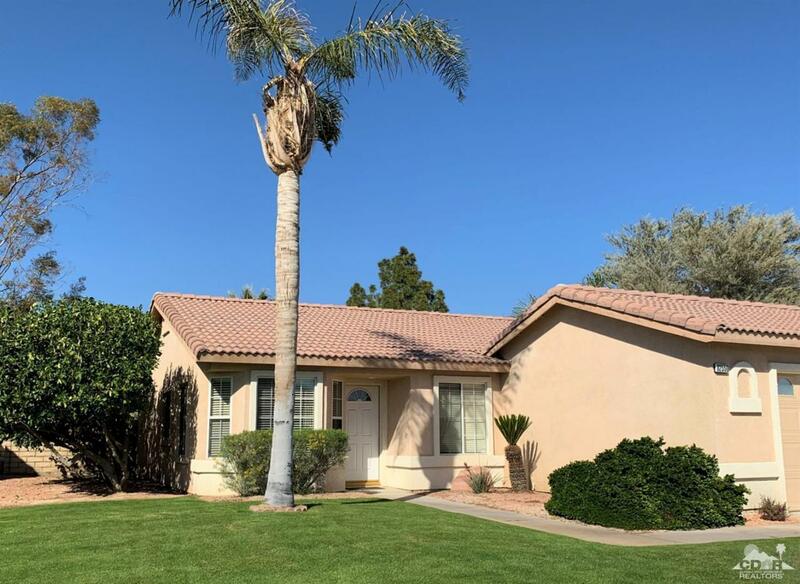 Located in the historic Indian Palms CC, this darling home has a cozy living room with firelplace and sliding door leading to a covered patio with golf course and mountain views. The kitchen has rarely used appliances with a breakfast nook. The master bedroom has two closets and a double vanity in the master bath, also a second bedroom and bath. Ceiling fans and plenty of storage. This is a guard gated community with several amenities such as: golf, tennis, pickle ball, swimming, a fitness center, clubhouse and restaurant. Located close to shopping and entertainment, but also rather private! Low HOAs. Listing provided courtesy of Leanne Huna of Hk Lane Real Estate.